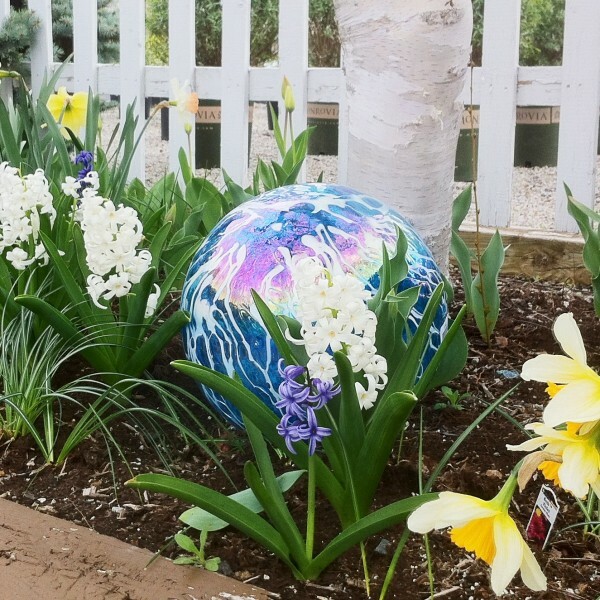 Classic jewel tone reflecting balls, or unique artglass sparklers, gazing globes add instant elegance and personality to your favorite garden space. 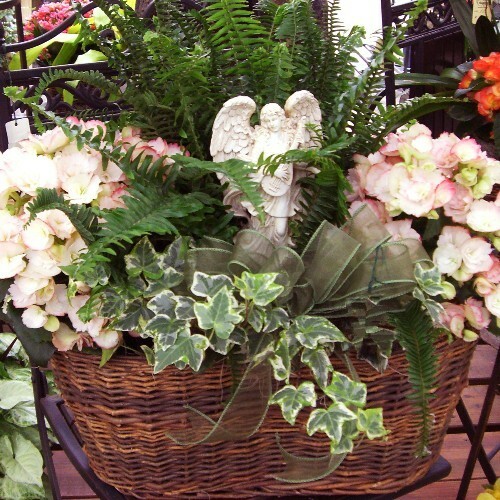 Blooming Baskets of potted, flowering plants to enjoy indoors or out. Perfect for any occasion: birthday, anniversary, sympathy, get well...we can deliver! 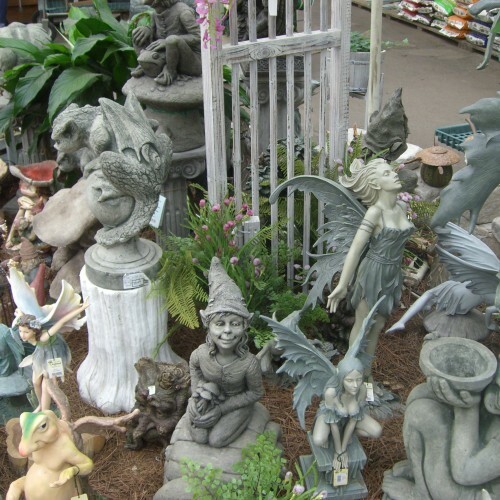 Fairies, Gargoyles, Gnomes, Animals and many more...a great selection of garden statuary. 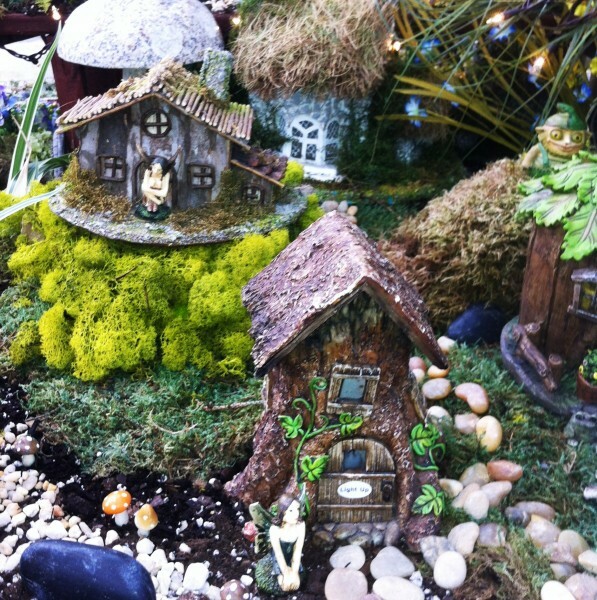 All of the tiny treasures you need to create a magical miniature garden! 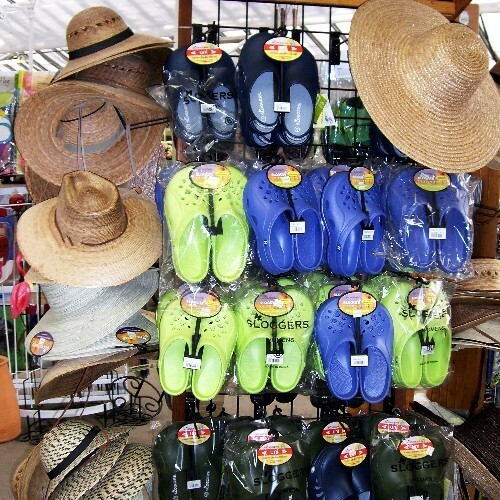 Garden Apparel: Sloggers garden shoes, Tula hats, West County gloves and many more for the well-dressed gardener. 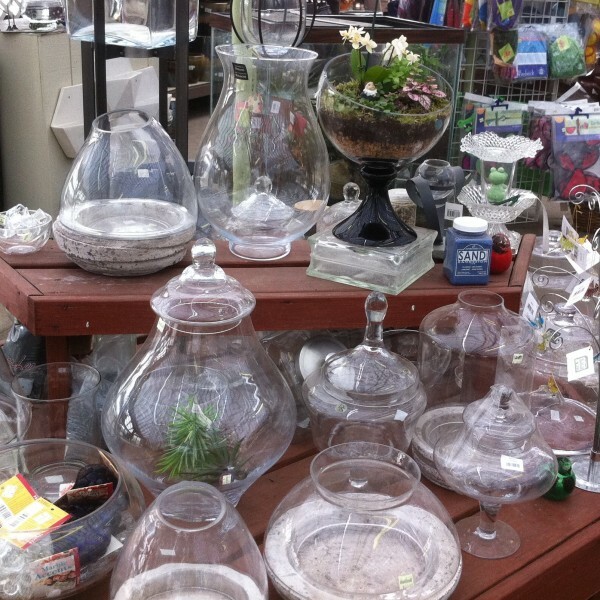 Terrariums and supplies for year 'round gardening fun. 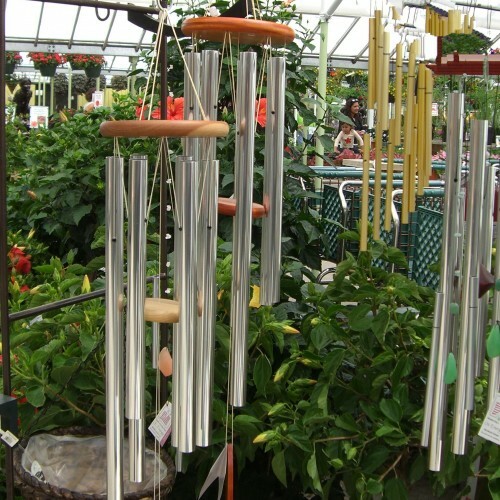 Woodstock Windchimes, and many others, are a melodic gift that anyone can enjoy. In sizes from 6" to 48", they can produce a wide range of tones.